Is this Harvard? Nope just Iowa State. But, Iowa State in the fall has that Ivy League feeling. With old grand buildings and bright fall leaves I can't help but feel like I'm on a beautiful east coast campus. 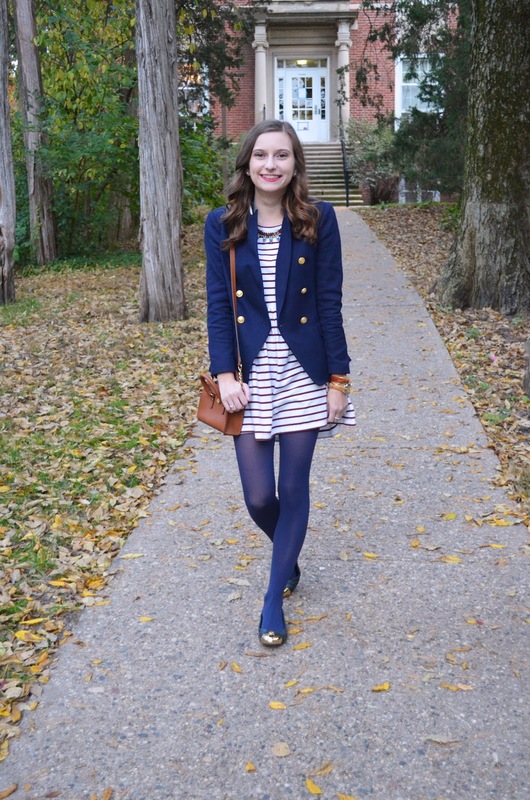 During the fall I channel my inner Blair Waldorf and go totally preppy and coastal inspired. 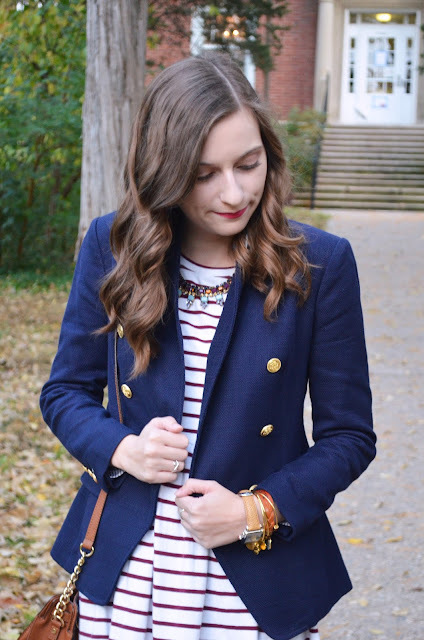 My go-to piece of the moment, my Banana Republic blazer. 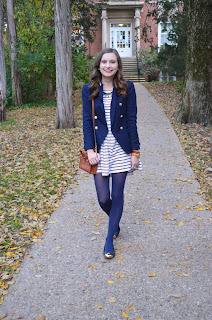 You will see it in an upcoming post on what I wore for Thanksgiving dinner! But, this look is a little more dressy. 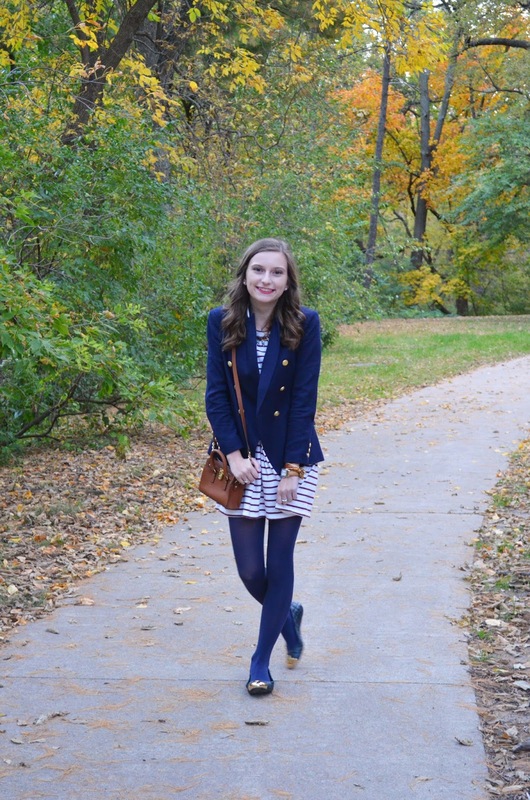 I paired the blazer with a fun striped dress and ballet flats for the perfect work or class look. The dress is a jersey material so it's super comfy, but still stylish. Adding the blazer gives it that Ivy school vibes and makes the look more pulled together. For accessories I paired the look with a jewel tone statement necklace. Although the necklace isn't matchy matchy the gems bring out the maroon and navy in the look. 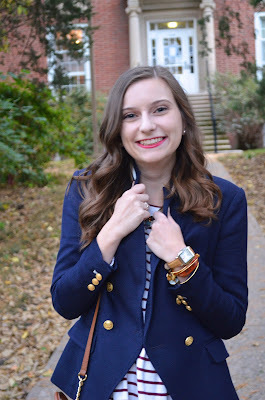 No Ivy inspired look would be complete without a KJP bracelet. This look features their monogram leather bracelet! You can pick it up at their Cyber Monday sale for 25% off. I got it last year as a Christmas gift, so it is perfect to gift yourself or for someone on your list. I also wore my go-to pearl studs my boyfriend gifted me. You can't go wrong with Mikimoto pearls! Pearl studs in general make great splurge worthy gifts. They are a classic piece and will never go out of style. I know I will be wearing these studs for years to come. This look perfectly sums up my style: classic, preppy, and fun. 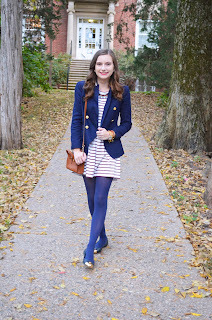 I love mixing prints and textures along with color to create a fun look. 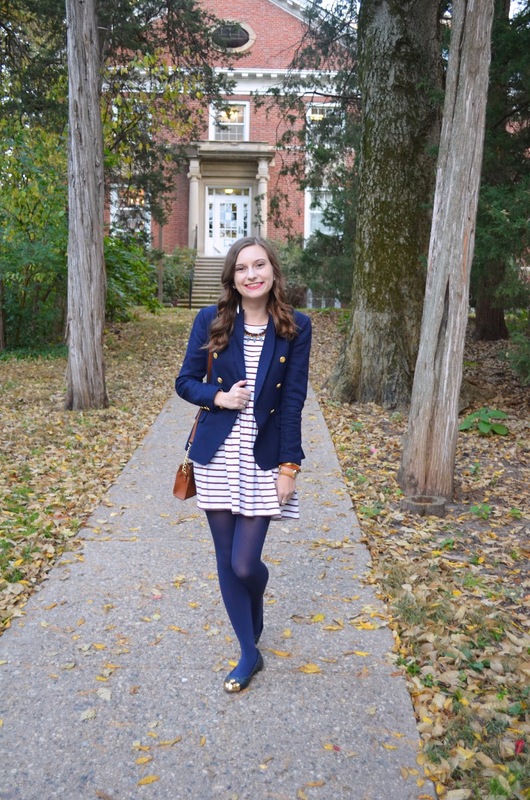 How would you describe your campus style? Let me know in the comments! 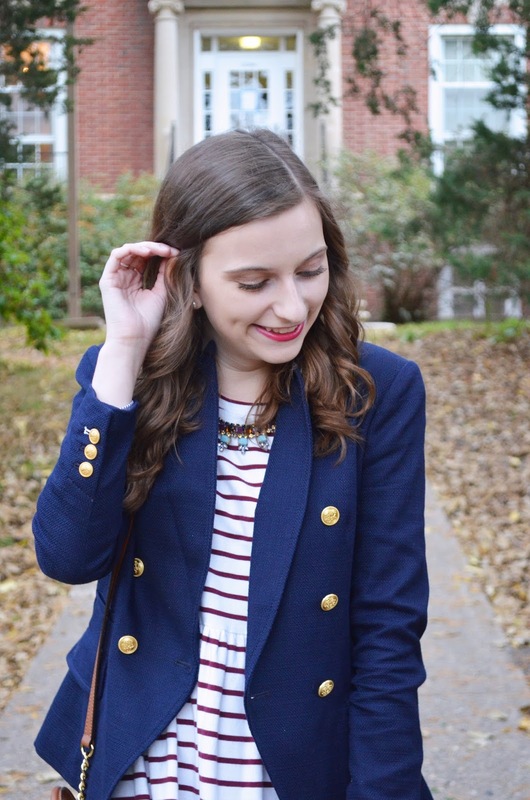 I love how you styled this blazer! I wouldn't normally go for an outfit with tights, but this makes me want to wear them. Have a great week!